The initial raison d’etre for the Botanical Garden of the TU Delft was the technical-scientific research into the usefulness of plants. 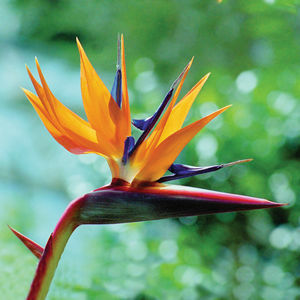 To this purpose plants were and are collected from all parts of the world. They are maintained and used for experimentation. Via the curator of the plant collection all knowledge gathered about the plants is organised into a scientific information system. Initially the research was especially aimed at improving the quality, increasing the yield, and discovering new applications of tropical products. Now the emphasis has changed, such as research into mangroves for maintaining coasts, the knowledge and development of a biological ultraviolet filter, and the method of harvesting precious plant substances without destroying the plant. A relatively new task has emerged from the ‘Treaty regarding Biological Diversity’, agreed to during the UN conference of 1992 in Rio de Janeiro. This treaty was later augmented with the ‘Global Strategy for Plant Conservation’. 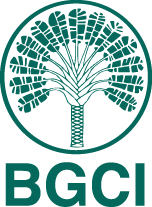 Botanical gardens worldwide, united in the BGCI (Botanic Gardens Conservation International) require hereby of themselves and each other, together, to bring into their collections 75% of threatened plant species. 2004 Sensor Technology Annual Price’ for discovering the Bio UV filter (converting ultraviolet light to safe blue light). 2008 ‘Inter traffic Innovation Award’ for the system of particulate matter and ultra-fine particulate matter reduction’. 2009 ‘New Venture Price’ for the industrial applications of the Bio UV filter. 2010 ‘World Economic Forum Global Innovation Award’ for the LED technology in under glass horticulture with the use of red LEDs and blue LEDs for optimal growth and light utilization for photosynthesis (energy reduction 200X and higher yields to 20% extra). 2010 ‘Laureate Royal Firm of the Sciences’ for discovering and applying of plants-based Chrystal directed hydroscopic movement system. 2011 ‘Delft Demo Entrepreneurial Award’ for the particulate matter and ultra-particulate matter reductions system. 2014 ‘Made in Holland Award’, (VNO NCW Benelux-make industry), for the electrostatic milking of secondary metabolites from plants and the contributing to setting up and creating the spin-off company Flora Fluids BV. 2010 Health Report Particulate Matter for the municipality of Rotterdam, Ursem, W.N.J. and Marijnissen, J.M.C. 2011 ‘The development of an ESEM based counting method for fine dust particles and a philosophy behind the background of particle adsorption on leaves’, In Wessex (Ed. ), Transactions on Ecology and the Environment (pp.219-230. Southhampton, England: WITpress; 2011, Ottele, M., Ursem, W.N.J., Fraaij, A.L.A. and Bohemen, H.D. 2009 Eurogard 5, Helsinki. Lectures: ‘Implementation of the CBD using the IPEN Code for Conduct and procedures’, ‘The future prospects of electronic seed lists’. Workshop: ‘Gardens in Peril’. 2010 International Archeological Congress, Hebrew University Jerusalem. Lecture: ‘The analysis of the sample from amphora 2 of the Qumran excavations’. 2010 Valencia Lecture: ‘Sharing responsibility for national plant conservation of indigenous and exotic plants: The Dutch National Plant Collection System’. 2010 EU Conference Biodiversity, Belgian Academy of Overseas Sciences. Lecture: ‘Biomimetics: ‘Nature as an ingenious engineer and designer’. 2010 Vietnam Water Management and Engineering Symposium. Lecture: ‘Mangroves, the forgotten habitat in the middle of everywhere’. Workshops ‘Mangroves, roll and significance’, ‘Building on soft ground’. 2010 NEVAT Conference. Lecture: ‘Biomimetics in the Botanical Garden TU Delft, Department Biotechnology’ and forum discussion. 2012 MATERIA, conference centre Ahoy, Rotterdam, for Dutch architects and designers. Lecture: ‘Composites on the basis of Plant fibers’. 2012 Eurogard VI Congress, Chios, Greece, Lecture: ‘Plant based possibilities and uses’, Workshop: ‘Plants and business opportunities’. Lecture: ‘Building capacity nationally in support of the Global Strategy for Plant Conservation’. 2012 Bilateral meeting with the Institute for European Environmental Policy. Lecture: ‘Implementation of the Nagoya Protocol by the botanic garden community’. 2012 Theme morning Zoetermeer, Admission to genetic sources, where do we go from here? Lecture: ‘Botanical gardens and access & benefit sharing, admission to genetic sources of botanical gardens for plant improvement’. 2012 Mini symposium Plant resistance, Lecture: ‘Plant defense systems and the technology of vegetation protection. 2013 Study Day Interface. Lecture: ‘Trees and static electricity loads’. 2013 Flevum Study Day Future Transport systems anno 2040, DVDW Lawyers. Discussion led. 2013 Seminar Biomimicry in the Botanical Garden TU DELft. Discussion led. 2013 Mini symposium Material Science, Botanical Garden TU Delft. ‘The Garden and botanical material sciences’. 2013 FLEVUM and Bio Soil Symposium. Lecture: ‘The future of new sustainable ecosystems’. 2013 BCGI World Symposium of Botanic Gardens, Dunedin, New Zealand. ‘Smart plant use in water management’. 2013 WUR/Biomimicry Netherlands Conference, Radio Kootwijk. Lecture: ‘Biomimicry and Circle Economy’. 2013 Prague, Czech network. Lectures: ‘The Nagoya Protocol and the upcoming EU law’, ‘IPEN, the easiest way for botanic gardens to comply with the new EU law’. 2013 5th Global Botanic Gardens Congress, Dunedin Botanic Garden, New Zealand. Lecture: ‘One small step for man, one giant leap for the botanic garden community’. 2014 Museon Specialists series. Lecture: ‘Biomimicry and bio-inspired learning’. 2014 ENVIRON Conference, Dublin, Ireland. Lecture: ‘Artis Natura Magistra’. Discussion Forum: ‘Sustainable energy debate for Ireland’. 2014 Symposium Air Pollution and intensive cattle-breeding, Province House, Den Bosch. Lecture: ‘Particulate matter and ultra-particulate matter reduction for the agrarian sector’. The Botanical Garden TU Delft works nationally together with 26 botanical gardens, departments of zoos, arboretums, the Palace Het Loo and the Netherlands Open Air Museum. Botanical Garden TU Delft is internationally connected with more than 450 botanical gardens and institutes in the world and exchanges seeds, plants, and information with them. The Garden also participates with ten plant genera in the Society National Plant collections (SNP), a joint venture of Dutch botanical gardens regarding the maintaining of scientific collections. The Garden further participates in the NVBT, Dutch Society of Botanical Gardens, which specializes in the area of education, promotion, enhancing knowledge of plants, etc. Lastly, the Botanical Garden TU Delft is a member of the BGCI, Botanic Gardens Conservation International. All important botanical gardens in the world participate in this organization and therefore constitute the executive instrument of the Convention of Rio de Janeiro for the maintenance of biodiversity.